You might already have come to this conclusion yourself, but after reviewing 2014 events and images, I’d say that Wilmington has solidified its place as a premier biking destination - for both the knobby and skinny tire sets. The snow had barely left the building when the biggest biking event in the region took to the roads and trails during the Wilmington Whiteface Bike Fest. The annual weekend begins on Friday, when spectators will enjoy incredible stunts, jumps and tricks at the Jump Jam and Trials exhibition at the Wilmington Bike Park. It’s a great family-friendly event to start off a weekend of two-wheeled fun. Fun, and competition. The Bike Fest includes two certified races, including the Whiteface Uphill Bike Race and the Wilmington Whiteface 100K (WW100k), a qualifier for the famous Leadville 100 in Colorado. 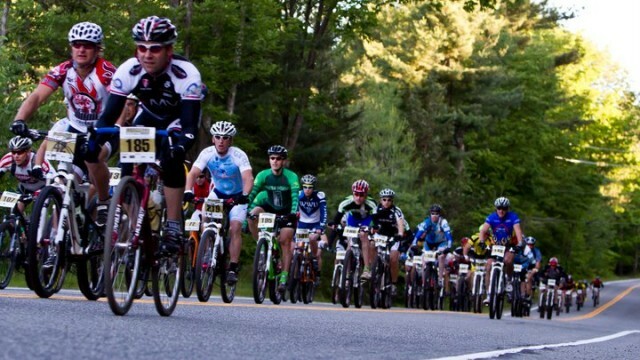 The 13th Annual Whiteface Mountain Uphill Bike Race was held on June 21, 2014. The USATF certified course runs 11 miles with an 8 percent grade up New York’s 5th highest mountain. Just typing that hurts my legs - I completed the race myself in 2010 - and though I didn’t come in last, I didn’t win either. The race began with an 8 a.m. start at Whiteface Mountain Ski Center and ends at the Castle at the top of the Whiteface Veterans' Memorial Highway. The views are MOSTLY worth spinning all the way up that mountain. The race is also part of the BUMPS (Bike Up The Mountain Point Series) that comprises ten races on mountains in the Northeast. The BUMPS is the only series of its kind in America – a series that recognizes the talents of riders who do the hardest thing in cycling, climb steep hills. Any rider who enters a BUMPS event will automatically be entered into the overall series points standings. I guess I have one point so far, so I’m probably not going to be on the cover of any cereal boxes any time soon. The WW100K is the only Leadville 100 qualifier east of the Mississippi, and the course is a significant challenge, with terrain that includes plenty of single track, rugged back country roads, gravel and dirt roads, not to mention the climbs! In 2014, the special “Whiteface Challenge” category was added for cyclists entering both the Uphill Bike Race and the following day’s Wilmington Whiteface 100K. The overall combined winner from both races received $500 cash. In my humble opinion, I think they should also have given the winner a massage or at least a place to sit down. In 2015, the Wilmington Whiteface Bike Fest will be held in the first week in June - mark your calendar! In August, I rode in an event that is a bit “tamer”, shall we say, than the Uphill Bike Race. For the second time, I participated in the Ausable River Association (AsRA) third annual Ride for the River bike ride. The Ride for the River was launched in 2012 to encourage visitors to return to the Whiteface Region's Ausable Valley after Tropical Storm Irene. The Ride was a huge success and continues to be a way to celebrate the cultural and natural resources within the Ausable Valley. 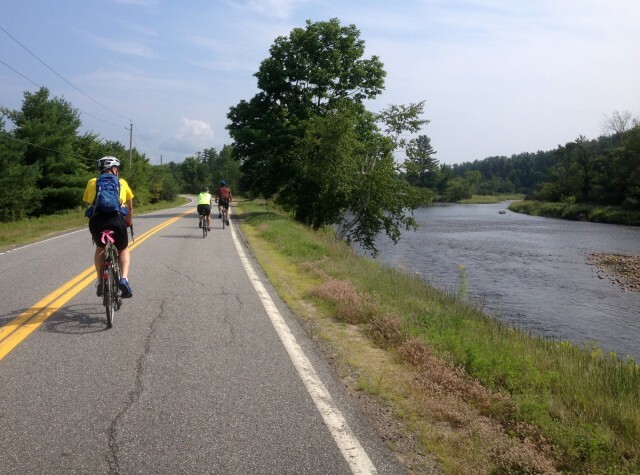 Along with Whiteface Mountain and the awesome roads and trails for biking, the river represents one of the greatest treasures in the region - it is a world-renowned fly fishing water, as well as a pretty backdrop to a bike ride. This year’s Ride was based out of Wilmington, NY and featured three bike routes designed by LeepOff cycles. It is a family and community oriented event that everyone can participate in, with route options offering something for everyone. Even me. Read all about it in my blog about the Ride for the River. Skinny tires - though I live in the Lake Champlain Region, which is a road biking mecca, I LOVE riding the incredible roads in Wilmington and Jay. There are loops of varying difficulty (including a ride up the Whiteface Memorial Highway). I have found some of the most beautiful rolling terrain peddaling routes like Haselton Road in Wilmington and Sheldrake and Stickney Bridge Roads in Jay. There’s a map to download along with this information about road biking in the region. 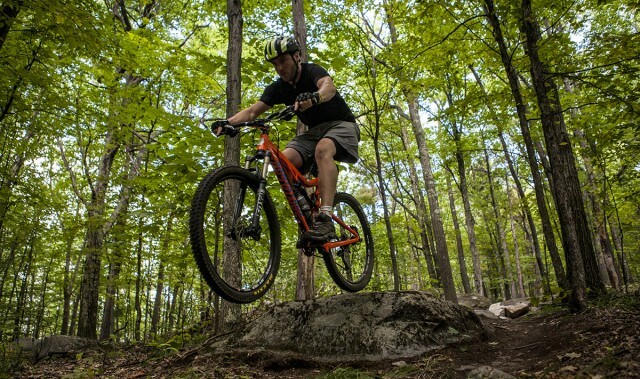 Knobby tires - It's sort of an understatement, but the Whiteface Region offers incredible mountain biking, too. To begin, there’s the Dirt Jump Skills Park in the middle of town behind the Little Supermarket Grocery, with professionally-designed features that include a pump track. Have you ever tried a pump track? It's an undulating loop that, if done correctly, keeps you and your bike in perpetual motion. Then there are the trails. Lots of them. The Flume Trails system, which I like for snowshoeing and hiking too, includes 8 miles of fun. The terrain changes from smooth and flowing to more technical, and the trails link up with the network at Whiteface Mountain, too. The secret’s out about the Hardy Road Network, which saw a great deal of use in 2014. This year, some work was done to better connect the lower and higher sections of trails, too. This network has an 800 foot climb and descent as well as more moderate, rolling terrain. 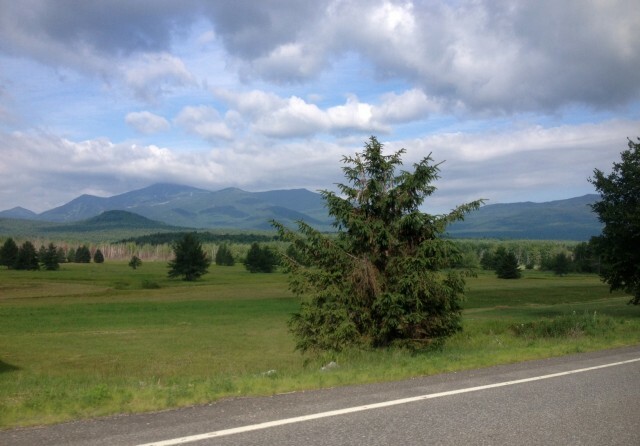 The Wilmington trails (as well as some other region terrain in Lake Placid and Saranac Lake) are lovingly maintained by the volunteer advocate group called the Barkeater Trail Alliance (BETA). Of course, Whiteface Mountain itself has mountain bike trails, and shuttle, and lift-accessed downhill mountain biking during the summer and fall. The trails range from family-friendly to extreme (that’s the lift-accessed part), and the bikes can be traditional mountain bikes or downhill-specific. Bike and accessory rentals are available from Downhill Mike at the main ski lodge for those who want to try the steeper stuff but don’t own one of the heavy downhill bikes. It sounds kind of scary, but I have tried the downhill trails - not the extreme ones - and it is an absolute blast! Perhaps the greatest news of 2014 was the addition of a bike shop in Wilmington to service and support the hoards of cyclists that will continue to descend upon this two-wheeled paradise. Leepoff Cycles added a shop on Route 86 in May of this year to augment its original shop in Keene Valley. Mark Nassan, the shop’s owner, has enlisted some young apprentices and provides service, sales, advice and advocacy for both the road and mountain biking opportunities in the Wilmington region. Also new this year, the Town of Wilmington has provided a shuttle service to bring mountain bikers to the trailhead located on the Whiteface Mt. Memorial Highway called the Poor Man’s Downhill. The Poor Man’s Downhill is a gravity trail that is suitable for any knobby tire bike. The new shuttle met riders every other Sunday at Leepoff Cycles, running continuously from 1pm to 4pm for a poor man’s cost of $5. This review was not intended to make anyone sad when looking at the thermometer. After all, biking season really never ends; you just need heavier gloves. Make your plans to stay close to the trails and visit during more bike-friendly temperatures, and keep an eye out for this year’s great biking events, too!